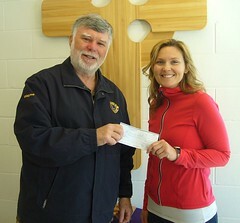 Pam Stuffles accepts a cheque from the Westport Lions Club for large print books for the Westport Library. 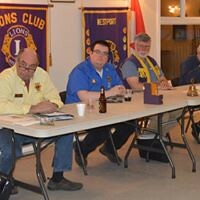 The New Year’s winner of $1,000 in the Westport Lions Club’s cash calendar was Gilles Gervais of Westport. 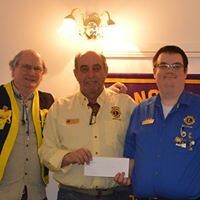 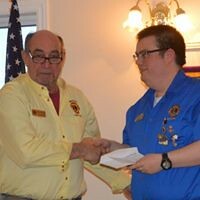 Lion Jim McGlade presented him with the cheque.